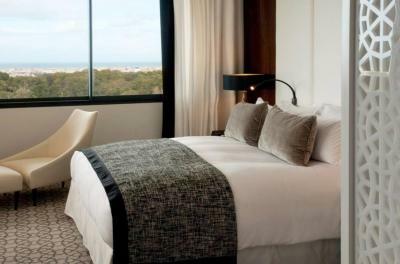 Lock in a great price for Sofitel Rabat Jardin Des Roses – rated 8.1 by recent guests! The location is superb liked the cleanliness of it as well. Swimming pools are extent.. Female lifegard IBTESAM was the best thing in the hotel she is very friendly and great with kids she was the reason I extend my stay in the hotel,, thank you Ibtesam..
Quite room with a nice view on the garden. Close to a park for waking and jogging. Very friendly and helpful staff. I lost my wallet and one staff found it and return it intact. 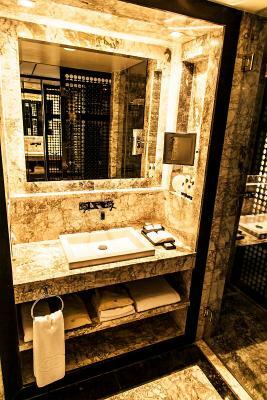 Sofitel Rabat Jardin Des Roses This rating is a reflection of how the property compares to the industry standard when it comes to price, facilities and services available. It's based on a self-evaluation by the property. Use this rating to help choose your stay! One of our top picks in Rabat.In the heart of Rabat, this hotel sits on a luxurious site of more than 7 hectares, including 3 swimming pools and mini-golf area. 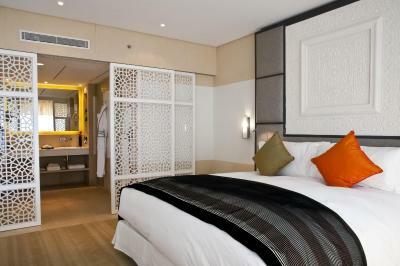 It offers stylish rooms with balconies. 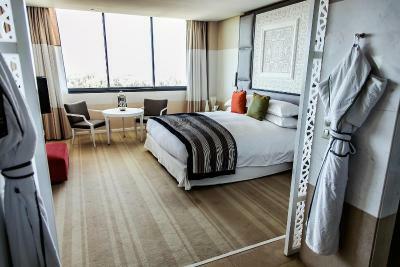 The guest rooms at the Sofitel Rabat Jardin Des Roses have panoramic views of the Andalusian gardens, the swimming pool or the Eucalyptus forest. 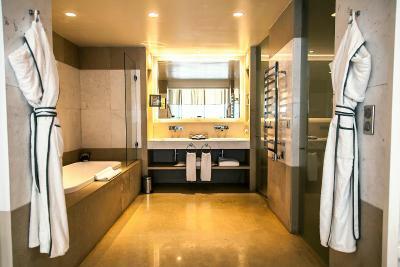 Each is air conditioned and equipped with satellite TV, mini-bar and luxury bathrobes. 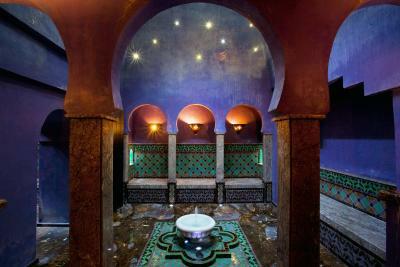 The Jardin Des Roses has a So spa and wellness center, which includes a sauna, hammam, and a range of beauty and body treatments. 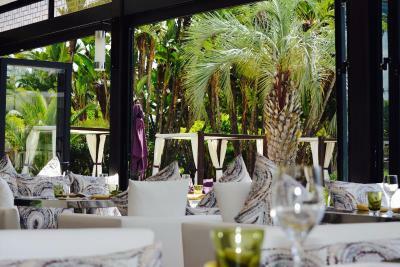 There is also an on-site restaurant, a night club and bar, and guests can relax on the garden terrace, surrounded by palm trees. Souissi is a great choice for travelers interested in local food, food and monuments. 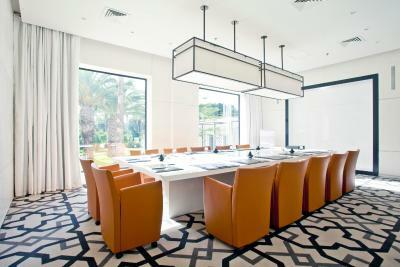 When would you like to stay at Sofitel Rabat Jardin Des Roses? 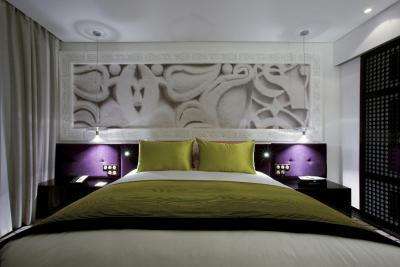 This stylish and air-conditioned room is equipped with a mini-bar, a coffee maker and a flat-screen TV. The room offers a balcony with a view over Rabat or the gardens. 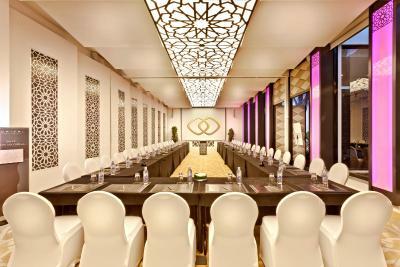 This room includes access to the Club Millésime with breakfast and snacks. 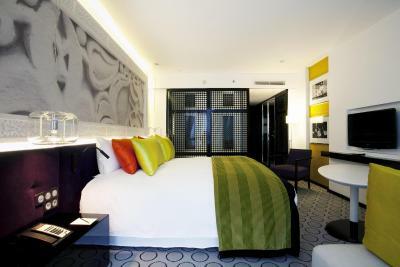 This stylish and air-conditioned room is equipped with a mini-bar and a flat-screen TV. The room offers a balcony with a view over Rabat or the gardens. 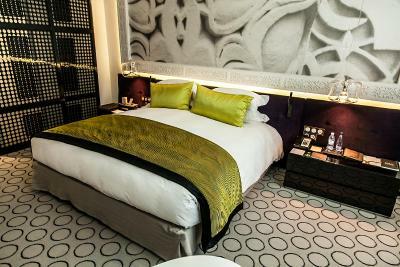 This more spacious stylish and air-conditioned suite offers a separate bedroom and lounge. Hotel surroundings – This neighborhood is a great choice for travelers interested in local food, food and monuments – Check location Great location - show map Guests loved walking around the neighborhood! House Rules Sofitel Rabat Jardin Des Roses takes special requests – add in the next step! Sofitel Rabat Jardin Des Roses accepts these cards and reserves the right to temporarily hold an amount prior to arrival. Breakfast was okay...questionable whether worth the cost in light of it substance (too much frill versus good food). Internet was fair and not detectable in all spots in the room. Great sleeping environment and nice that they had free parking. Executive lounge was empty most of the time, so that's an untapped resource. Personnel du loundge club excellent. They literally decided they were not going to take our calls for room service and we rang non stop but no one bothered. We asked for salt and 40 minutes after they brought us pepper after that no one bothered to take our calls. We had to pay for the food we didn’t eat. location is not in the center. I loved my room in front of the garden , the hospitality was great.